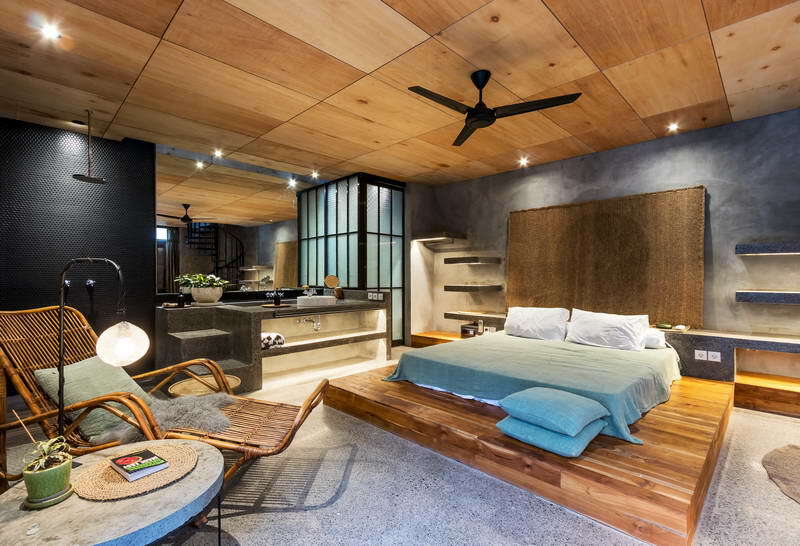 A modern and stylish entrance to a unique property for sale in Batu Bolong, Canggu. The large swimming pool takes centre stage in the garden. Open plan living and dining room overlook a crystal clean swimming pool. Lots of space in the downstairs ensuite bedrooms. State-of-the-art kitchen with swimming pool views. The master bedroom suite has all the comforts you'd expect from a 5-star hotel. Private upstairs terrace offers plenty of privacy. Set on 400-square metres of freehold land in Batu Bolong, this modern, urban-style 5-bedroom villa is only 600-metres from the beach and just a couple of minutes walk from the shops and restaurants that have made Batu Bolong so popular. Downstairs, the lounge, dining area and state-of-the-art kitchen as well as all four downstairs bedrooms overlook a crystal clear swimming pool. There is also a cute and cozy 5th ensuite bedroom on the second floor, which offers an added sense of privacy. Neil Power told WILLIAMS MEDIA "one of the downstairs bedrooms can be totally locked up and used as a self-contained apartment with its own kitchen. It's also got a roof top deck, which means you have the option to rent it out on its own, or you could rent out the 4-bedrooms and stay in the self-contained apartment." The property has plenty of parking for cars and bikes.